In lieu of flowers memorial donation may be made to the Blackjack Church Building Fund and left at the funeral home. James Neil Wallen, age 84, of Stockton, Missouri, passed away January 26, 2015, in Springfield, Missouri. He was born August 11, 1930 to J.C. and Lula (Wall) Wallen, the second of nine children. Neil attended a country school, but he had to quit in the eighth grade. Times were hard and he had to help his father on the farm. He was a hard worker and had several different jobs, but carpentry was his favorite. In 1949 Neil married Viola Kisner, and to this union five boys were born: Dale, Damon, Derek, Daniel, and Dwayne. They lived near Osceola, MO, until 1962, when they moved to Wilmington, CA, where Neil worked as a carpenter for Knott’s Berry Farm. In 1968, he moved his family back to El Dorado Springs, MO. They bought a farm north of Filley, MO, where they built a new house. Three years later their marriage ended in divorce. Neil worked on the Stockton Dam when it was being built. Later he worked at the Warsaw Dam. In 1974, Neil married Barbara (Esry) Pankey. They lived on the farm until they built a new house in Stockton in 1991. He retired there and spent several years enjoying fishing. Neil was saved and baptized in March 1956, at the age of twenty-six. 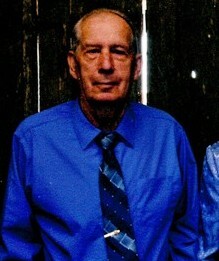 He was faithful in attending church and serving his Lord and Savior until his passing. Preceding Neil in death were his parents; one son, Dale; two brothers: Ivan and Roy; one-brother-in-law, Bill Hill; and one sister-in-law, Joyce Wallen. Survivors include his wife, Barbara, of the home; four sons: Damon, of Osceola, MO, Derek and wife, Marlies, of Germany, Daniel and wife, Karla, of Osceola, MO, and Dwayne and wife, Barbara, of El Dorado Springs, MO; one daughter-in-law, Geneva, of Kansas City,MO; nine grandchildren; thirteen great-grandchildren; two brothers: Carl Wallen and wife, Louise, of California, and David Wallen and wife, Judy, of Kansas City, MO; four sisters: Violet Hill of Warsaw, MO, Carol Quigley of Lincoln, MO, Edna Meyers and husband, Larry, of Kingsville, MO, and Linda McMillian and husband, Danny, of Warsaw, MO; and a host of nieces, nephews, church family, and other friends and relatives. Funeral services for Neil Wallen will be held on Thursday, January 29, 2015, at 11:00 a.m. at Bland-Hackleman Funeral Home with Rev. Brent Bland and Rev. Randy Bland officiating. Music will be provided by Rodney and Polly Shipley. The family will receive friends before the service beginning at 10:00 a.m. Interment will follow at Clintonville Cemetery in El Dorado Springs under the direction of Bland-Hackleman Funeral Home. Pallbearers will be: Jerry Wallen, Jim Wallen, Jeff Wallen, Scott Steward, Jim Shipley, and Darrel Crockett.